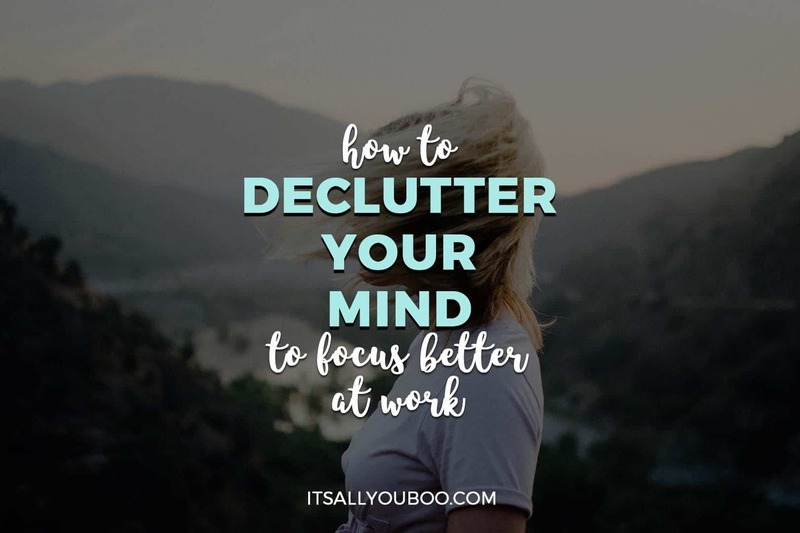 How do you declutter your mind to focus better at work? 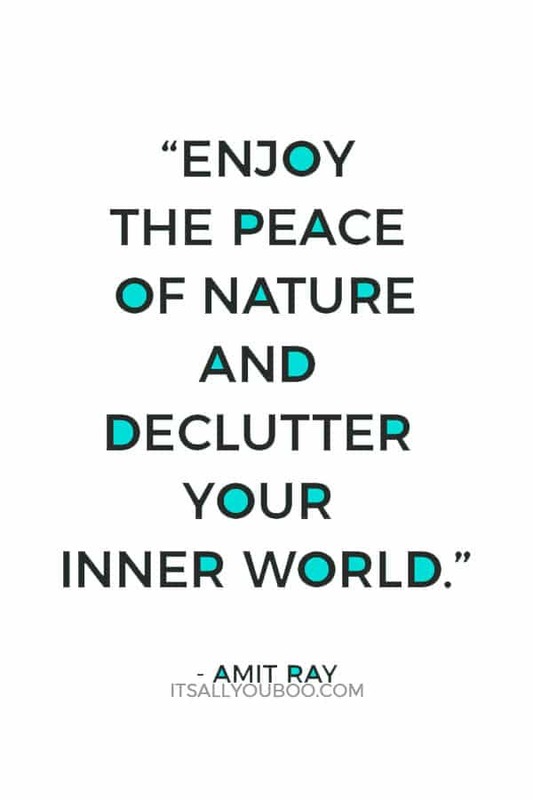 Why is it important to declutter your mind daily? Have you ever wondered what mental clutter does to your mind? Surely you’ve noticed that you’re much less focused when your mind is preoccupied with thoughts and worries – especially when those thoughts and worries aren’t even related to your work. Whatever the source of your distraction, it can often be rooted down to some sort of anxiety or fear. Fear that you will not get everything done or that you aren’t good at your job. Being fearful of embarrassment from something you did yesterday that’s lingering in the back of your mind or the fear of forgetting something important. I could seriously go on for a while with examples and I’m sure you have more than a few of your own. Anxiety in the workplace can lead to low productivity, missed deadlines, and even giving up on your work entirely. Decluttering your mind helps you regain focus on your tasks. By half-thinking about whatever intrusive thoughts have jumped into your mind while also trying to think about your work, you are dividing your mind between the two lines of thinking. In this way, mental clutter and intrusive thoughts are just as damaging to productivity and work quality as is actual multitasking. It has been demonstrated in studies that dividing the mind in this way is ineffective. Instead of giving your all to both things you are trying to simultaneously do, multitasking means you only give about 50% to each task. Your work quality will diminish. It’ll take you longer to get the work done. So, what kinds of mental clutter often invade the mind? And how can you declutter your mind to focus better at work in those tough moments? I’ve found that most of the time, mental clutter falls into one of two major categories: day-to-day life struggles, and self-defeating thoughts. Resolving both problems will be key to refocusing your mind. Sound familiar? Maybe your life circumstances are a little different. Maybe you have pets instead of kids or maybe you prefer potato salad to lettuce. The point, though, is that many of us stumble down trains of random thought mid-work without even noticing it. By the time we do notice it, we’ve already taken a few twists and turns through our mental clutter, changed subjects a couple of times, and wasted 5 to 10 minutes or more. Oftentimes, those everyday thoughts, worries, concerns, and plans are what steal our working hours from us. They set us behind on projects and make us re-read the same sentence two, three, four times. We worry about what we’re going to do later, the stupid thing we said the other day, upcoming meetings, and more. For those of us who work from home, the distraction of dishes, laundry, and even other people can be quite tempting and very powerful at times. If you’ve ever wondered how to declutter your mind of these types of thoughts you certainly aren’t alone. Not only is mental clutter a distraction from your work, but it can also actually sabotage your career as it takes over your mind. If you’ve ever felt like you aren’t cut out for the type of work it is you do, you’ve experienced the imposter syndrome. Many of us bloggers, freelancers, and solopreneurs sit behind our desks waiting for someone to discover that we don’t have what it takes; that we’ve been winging it; that we are just imposters pretending to know what we’re doing. As I’m sure you can guess, worrying that we aren’t good enough while we’re trying to work is very distracting. Since distraction leads to mistakes and can make it take much longer to complete a task, they only serve to reinforce the idea that you aren’t good at your job. In that way, mental clutter from self-defeating thoughts can actually lead you to prove your thoughts right. It becomes a self-fulfilling prophecy. Worrying that you aren’t good at your job can actually cause you to not be good at your job. You have to be able to control back from your wandering thoughts and your intrusive worries in order to truly focus on your work. It can be difficult to regain focus and attention on your work once your thoughts take control. It’s easy to go down the rabbit hole with them, chasing solutions to unrelated problems or burrowing deep in your own self-doubt. That’s why it’s important to not only know how to recognize the problem but to also learn how to actively declutter your mind in the moment. The way they answer that question has a big impact on the way we move forward. If they seem rather confident I move on to the next phase of refocusing. If they don’t appear very confident, though, we take some time to focus on the way they speak to themselves and the kinds of intrusive thoughts that could be dominating their working mind. The key to declutter your mind and tackle these intrusive, negative thoughts is to confront them. You need to go through the process of identifying, discovering the cause of, challenging, and replacing their self-defeating thoughts. Listen to the way you speak to yourself and identify self-defeating thoughts (especially those that interfere with your work). Delve into your past to see why you may have such negative beliefs about yourself. Collect evidence against your self-defeating thoughts and learn to challenge the negative thoughts. Replace self-defeating thoughts with realistic, self-promoting thoughts. Well, start by taking a breath right now. From here, you can just start adding more breaths next time and the time after that. Just focus on those breaths. You can even do it at your desk, though I do suggest finding a quiet, private, calming place outside of your typical workspace. If that’s not possible, you can even just try turning off the lights so that you cannot see your work as well. Wait a minute. Am I seriously suggesting that you take your mind away from your work in order to focus on it? 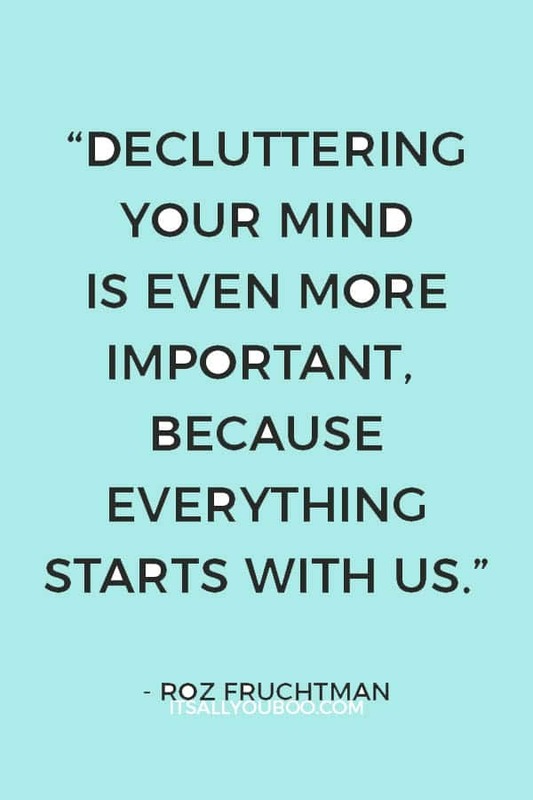 Does that really help declutter your mind? Well, yes. Training your mind to focus using meditation will go great lengths to helping you focus better while working. Infusing mini-meditations into your workday can also help you turn off those thoughts before you take that train too far and lose too much time. Overall, meditation will make you more focused and, thus, more productive. The truth is, though, that it will take some time. Yes, you will have to sacrifice some of your working or living time to include meditation in your life. And, at first, it may not seem to do much. You will spend a little bit of time having less time than ever before. But after it begins to work and you begin to train your mind you will find that your work is completed faster and much more thoroughly. It’s just one of those things you have to invest in to really get a benefit from. Working in the home is hard at the best of times. Even when your spouse, kids, or roommates are out of the house for the day, there is always a pull from somewhere in the house. Whether it’s your bed begging you to just get a few more minutes sleep, your couch tempting you into some Netflix, or the mountain of dishes that are nearly staring you in the face, your home is filled with potential distractions and mental clutter just waiting to happen. One way to shut those distractions and declutter your mind is to carve out a special space just for your home office. If you have an entire room you can devote to your work, excellent. You can shut the door and leave the rest of the world behind. You can even choose to decorate your workspace differently than the rest of your house so it appears more professional and makes you feel like you aren’t even at home. Place your desk in front of a window so you are looking outside instead of at your home. Build your desk into a closet so it feels like you’re in a tiny room or a cubicle away from everything. Use screens or curtains to segregate your office space from the rest of your home. Place your desk in a room without a television. Allot a half-hour during your lunch hour to do some of the things have been tempting you throughout the day. Ready to stay focused on your work goals? To banish distractions and free your mind of mental clutter? Want to truly be present throughout the work day and keep your mind from wondering? Looking for more strategies that help you declutter your mind? 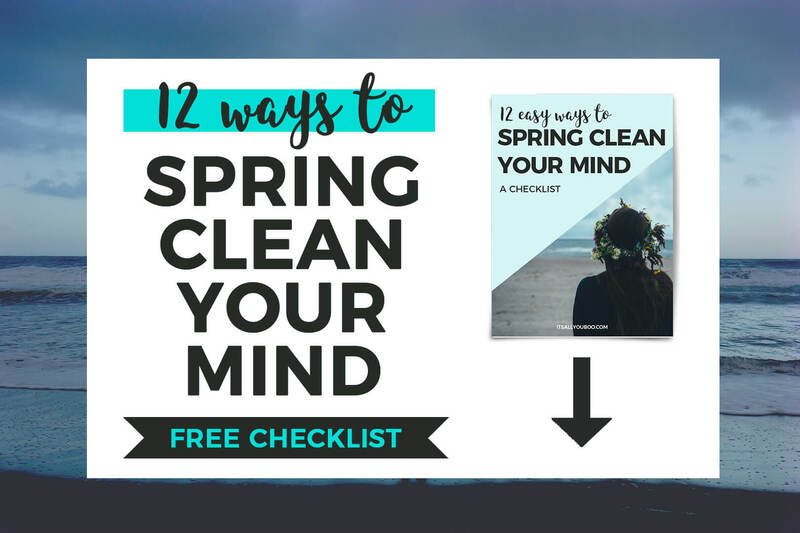 Get the Spring Clean Your Mind Checklist, with 12 strategies for clearing mental clutter and welcoming positive and successful thinking. Replacing negative, self-defeating thoughts with more positive, self-promoting ones. Take deep breaths and mindful meditation pauses that focus on your breathing. Find a private workplace where you can hide away from distractions and focus better on work. Get started today, just breath at your desk and focus on one thought, one moment at a time. Close the mental door on distractions and your worries, and be present in this moment. 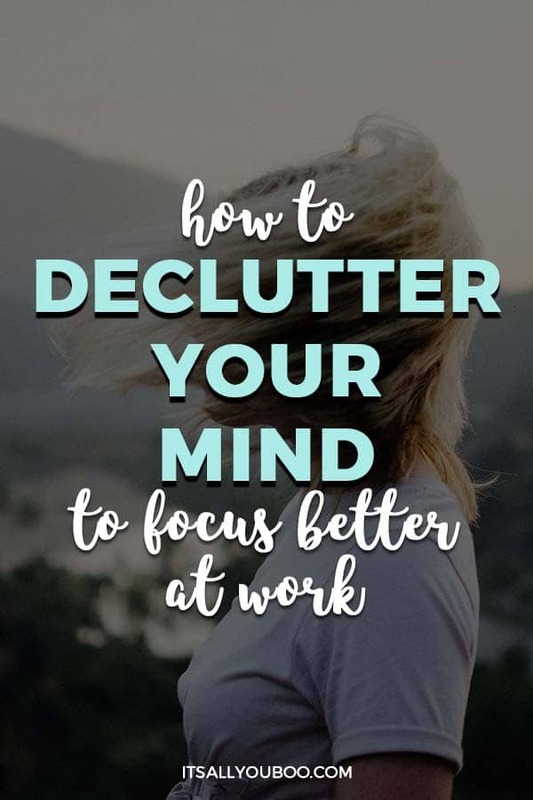 How do you declutter your mind to focus at work? 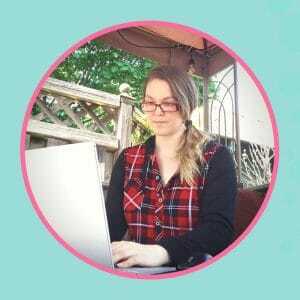 Freelancing coach Amy-Lynn Denham is excited to share her knowledge of freelancing, business, and personal development with her coaching clients at Amy-Lynn Writing. 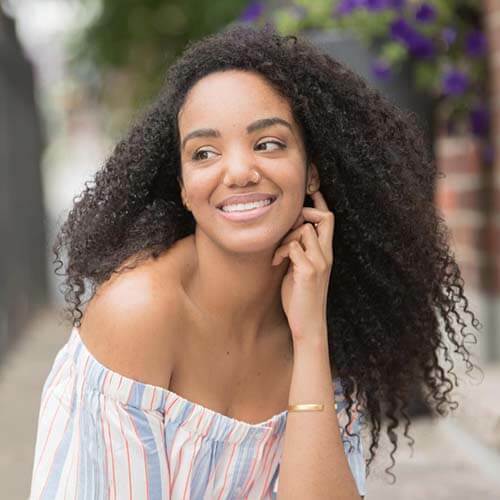 She draws from personal experience and research to pull business and psychology into a complete package for beginner freelancers looking to break past imposter syndrome and launch their careers. This post was everything! Very detailed and everything I need to get my life right for the new year. So happy that you found it useful. What have you been struggling with? This is a great post! I definitely sometimes think about 1,000 different things at work! Not any negative thoughts really, but definitely always thinking about what I have to do outside of work. Thanks for the tips! It can be frustrating when those thoughts pop in. Are there any strategies other than those listed above that you’ve found work for you? Any that are “supposed” to work, but don’t? This wasn’t a problem for me at all when I worked for other companies, but ever since I decided to start my own blog, I find it really hard to clear my mind of the endless stream of things to do. I keep telling myself I don’t have time to meditate, but I really need to try it. YES! Meditation, even just 10 minutes a day can make a HUGE difference in our overall productivity since we are more productive when our minds are clear. Try thinking of it this way, for the 10 minutes you spend meditating you are probably gaining at least a half hour of time that would be wasted on other thoughts. I absolutely agree. I find that meditation and having my own workspace are essential. I also am working on organizing everything so that everything I need is in one place, and I don’t have to spend time looking for things – this goes for physical things, like notebooks, but also documents, pictures, etc. on my computer. I hear you. I tend to be extremely organized with physical files, etc. but when it comes to the files in my computer it’s ridiculous! I’ve spent almost an entire day before organizing those and getting rid of things I just didn’t need. Being organized is a huge way to improve efficiency in the workplace. This is a really eye-opening post for me, because my mind tends to wander and intrude upon focusing on the task at hand pretty easily, especially when doing things that are supposed to require a ton of concentration. I like your advice for replacing negative thoughts and finding out the root cause of these thoughts. I will try that the next time a self-defeating thought comes into my mind. 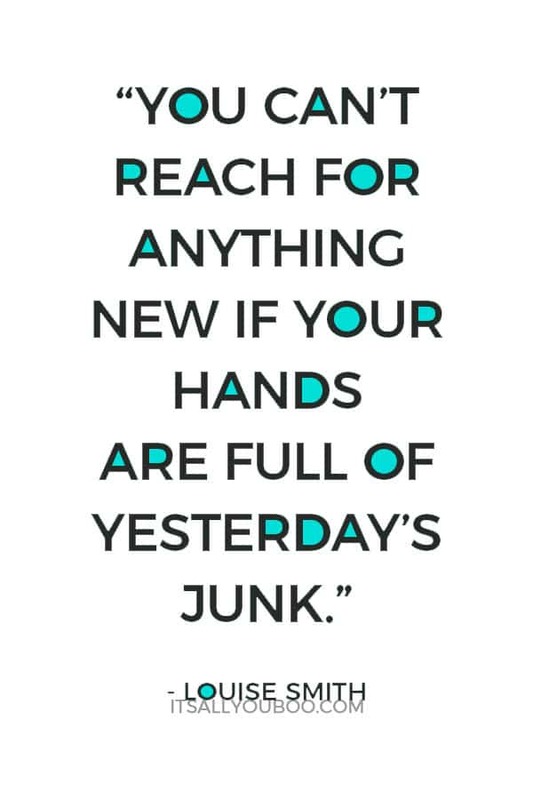 If it at first you don’t succeed, don’t get discouraged. Replacing those thoughts is often a process and takes a lot of practice. I hope you’ll connect and let me know how it’s going for you. 2017 was a time for decluttering for me. Mainly around my home, but it’s time I look at how o can make my work space more conducive for innovation and productivity too. Well at least you’re well-practiced in the process of decluttering! First your home, then your workspace… does your mind factor in here as well? These are great tips. I work in an office with low cubicles. It is terribly distracting and I hate it. And we don’t have windows. I love the “I don’t work here” mug. If I had that on my desk, I’d be in trouble. LOL! The physical workspace is important when it effects us the way yours certainly does. Do you work at home/have control over your workspace? Are you able to add a lightbox and maybe even dress it up like a window or something? It would provide “natural” lighting and maybe even make you smile when you look at how ridiculously fake it is. Part of decluttering your mind will include changing your mindset about that office. Retelling yourself the story of that office. Instead of it being a dark, unhappy, possibly cramped place to work that causes stress and unhappiness, maybe you can try looking at it as a blessing to have a place to work, etc. I find that physical reminders are good when we try to change our viewpoint about things like this. For example: posters, post-it notes, signs, etc. with positive messages about your workspace. Staying organized helps me clear my mind. I write down what I need to do in order by priority. That is extremely important! It stops us from having to run through our to-do list in our mind constantly keeping it in our working memory out of fear of forgetting. Write it down and let it go. This describes so much of what I’m experiencing at work these days. Working on pulling it all together. Great read! These are all great tips I have to keep in mind for myself! I need to declutter my mind with more meditation for sure! Putting off difficult tasks is never helpful. I find that, sometimes, if I start with easy tasks but commit to completing at least ONE difficult task a day I get ahead a lot better than if I try to push myself to do a bunch of difficult tasks. Clearing my mind is a struggle for me but definitely something I’m working on. Just taking a few minutes for deep breathes actually helps a lot. YES IT DOES! Great point. It is incredible what stopping for a minute can do for us and how it can actually make us more productive overall. I am so glad I found your blog, I love this post, very uplifting and encouraging. This is right on time! I’m home sick and my mind is racing with all of the things I have to do! I am going to definitely look into some of these suggestions! Hope that you feel better soon and that these are helpful in slowing your mind a little. Writing things down helps me to declutter my mind the best. If I don’t write it down, it doesn’t get done – OR I end up worrying about it and putting it off. Makes sense. The more we worry about remembering something we force ourselves to keep it in our working memory so that we don’t need cues to retrieve that information. Constantly keeping our working memory going not only distracts us, it also means we cannot think about or compute as many things at a time (since there’s only so much room in our working memory) AND it exhausts us because we never really let that part of our minds rest. Writing things down lets you release those things from your memory, as does using reminders in our cell phones, etc.